Floods and flashfloods are the leading weather-related killers in the United States. Flooding in Ohio is no exception. In the past two decades, there have been 68 flood-related deaths in Ohio. About 80% of flood deaths occur in motor vehicles. Never attempt to drive into a flooded roadway. It only takes about two feet of water to float most cars. If you live in a low-lying area near a creek, pay close attention to water levels during heavy rain events. Water rises rapidly during flash floods, often taking victims by surprise. Be prepared to move quickly to higher ground if water levels begin rising rapidly. Never let children play near creeks or storm drains. 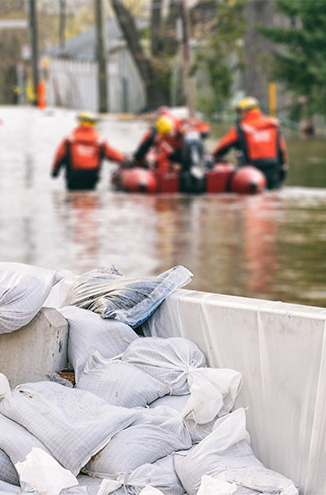 Every year, deaths or injuries occur as a result of people getting swept away into a creek or storm drain, with the most frequent victim being children. If you are camping, never place your tent or camper on the bank of a river or creek. Allowing some distance between your campsite and the creek is best, so if a flashflood does occur, you will have more time to move to higher ground. Remember that just 6 inches of rapidly moving floodwater can knock a person down. A mere two feet of water can float a large vehicle, even a bus. 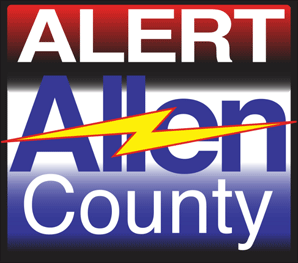 Allen County has developed this registry to allow citizens with special needs and facilities that serve those with special needs an opportunity to provide information to emergency response agencies, so emergency responders can better plan to serve them in a disaster or other emergencies.